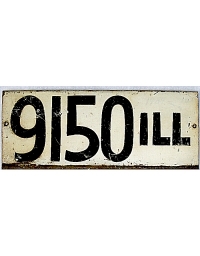 The City of Chicago first required license numbers to be displayed in 1903, although automobile driver registration goes back to 1900. 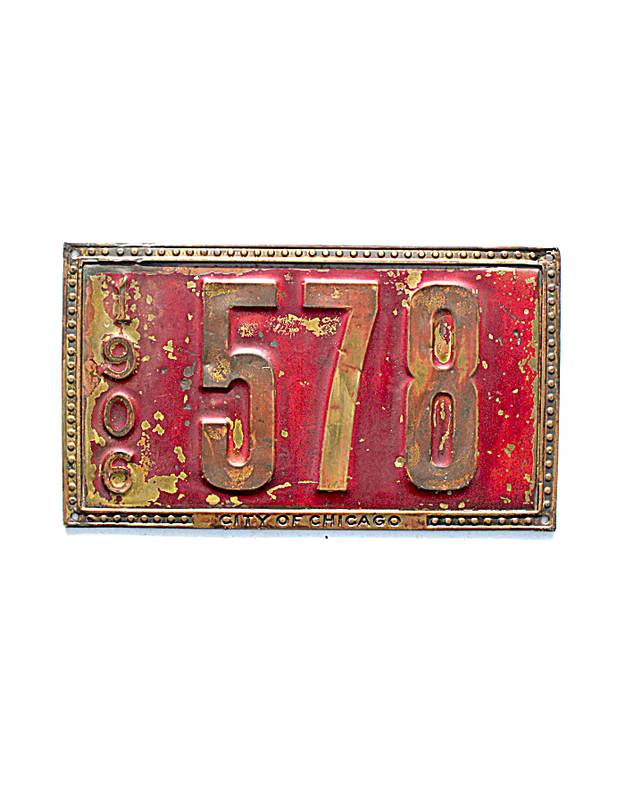 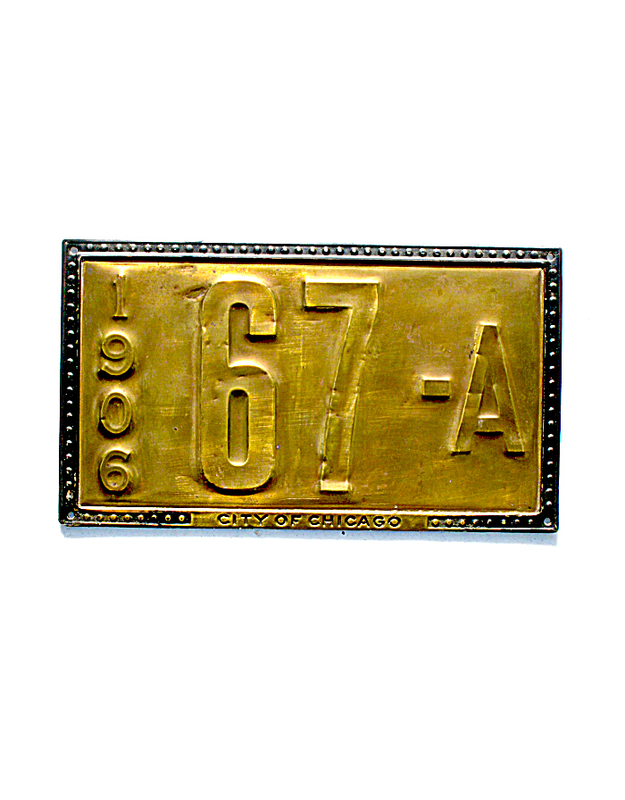 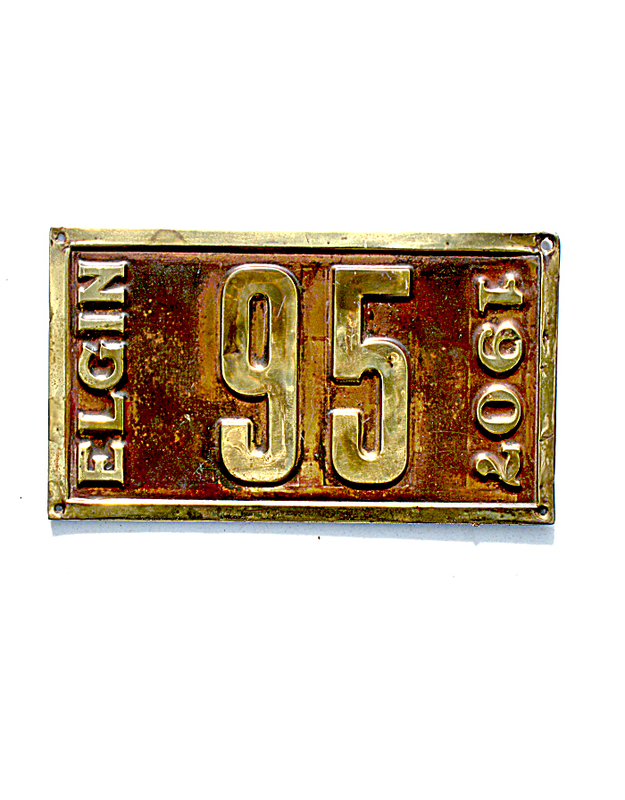 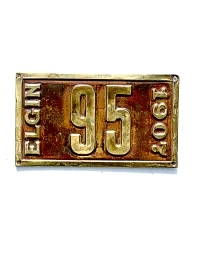 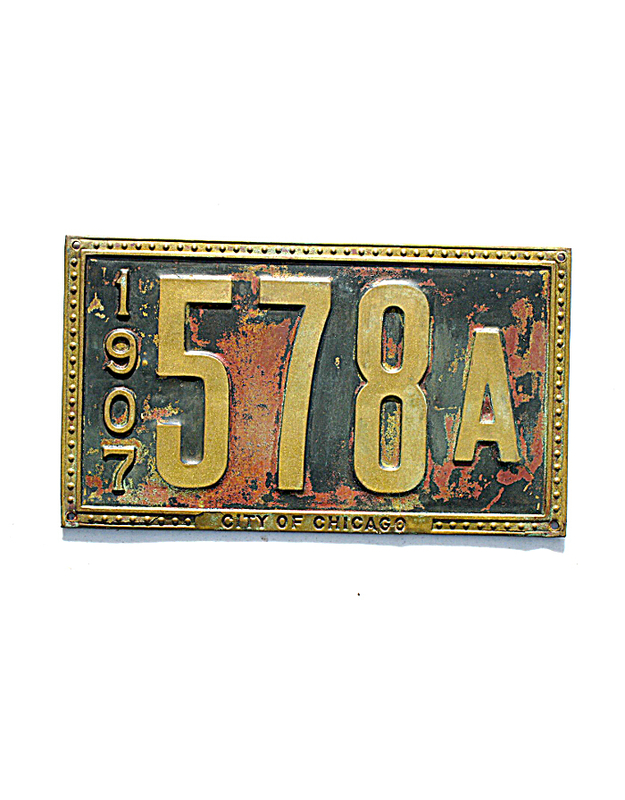 At the very turn of the 20th century, Chicago began requiring drivers to wear license badges while motoring. 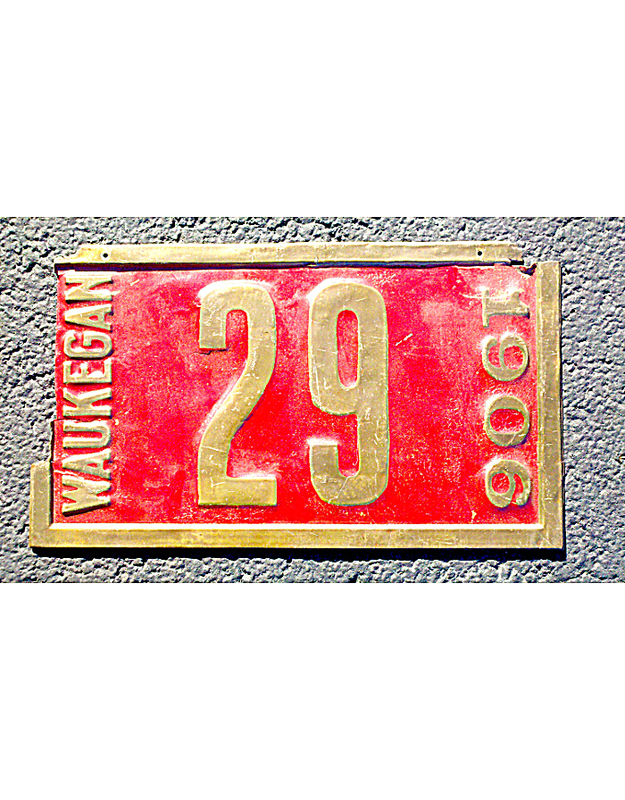 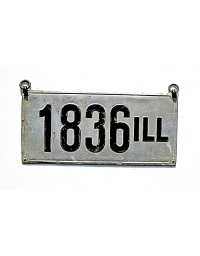 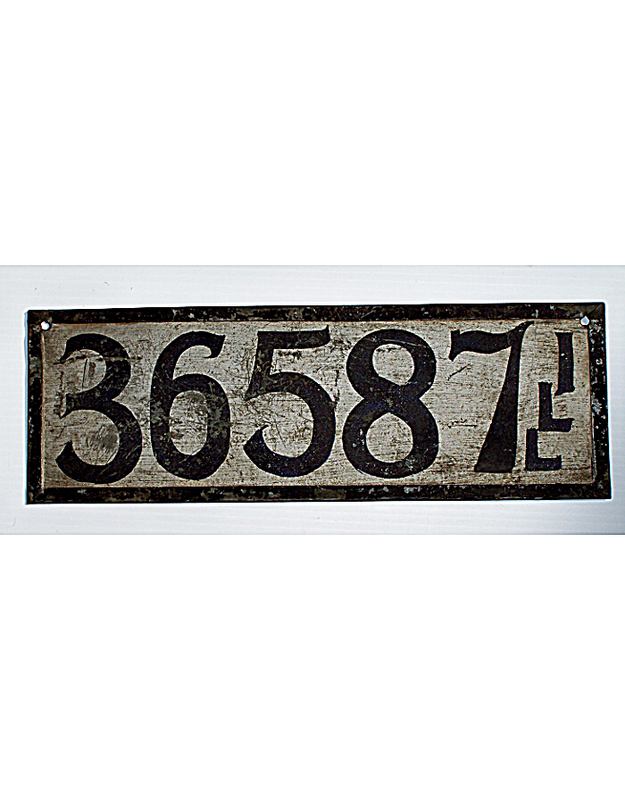 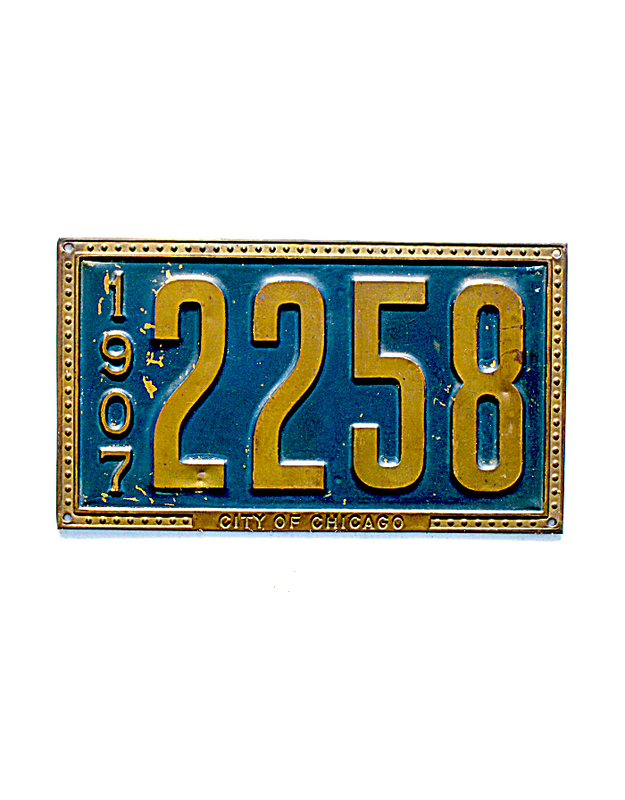 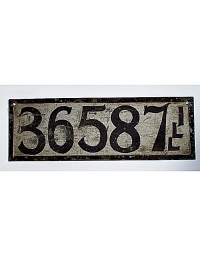 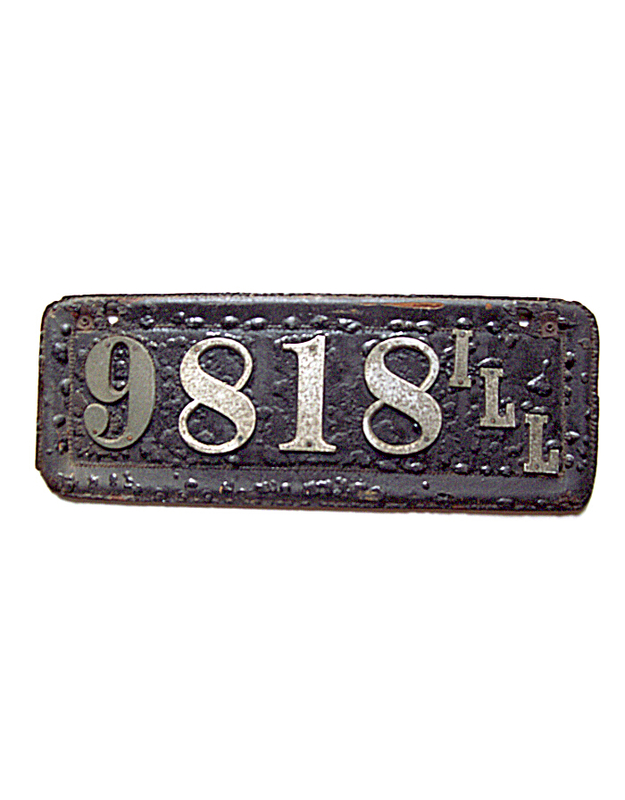 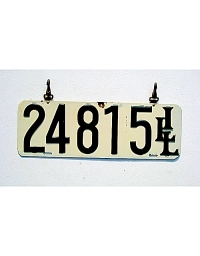 In 1903, Chicago required that license numbers were to be displayed on the automobile itself. 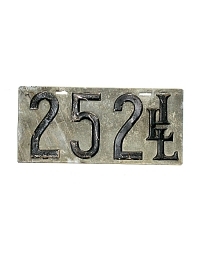 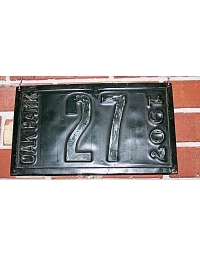 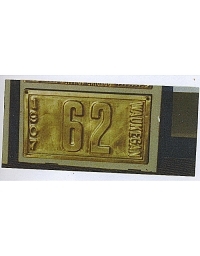 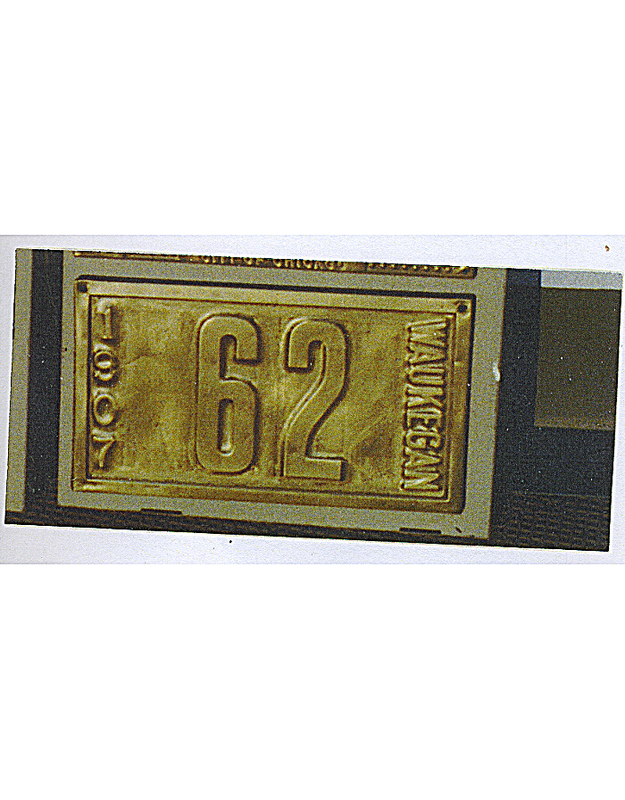 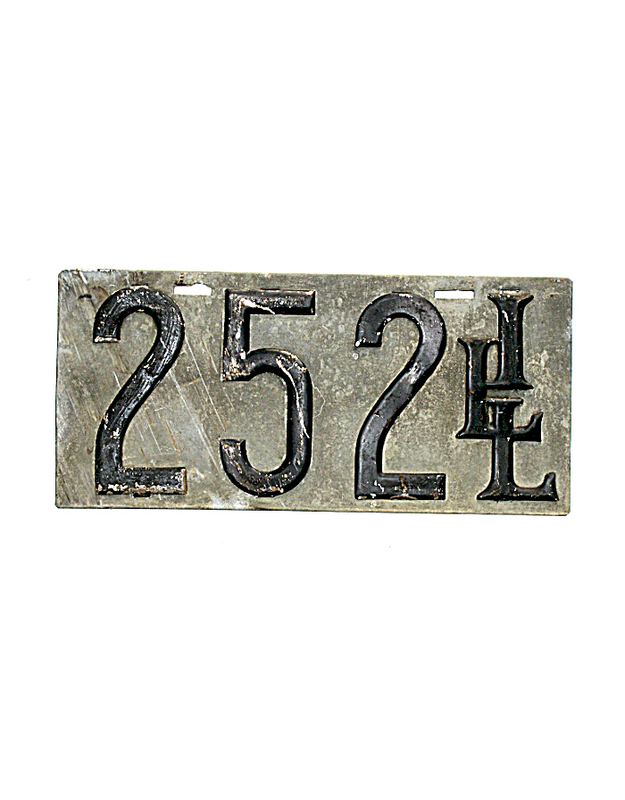 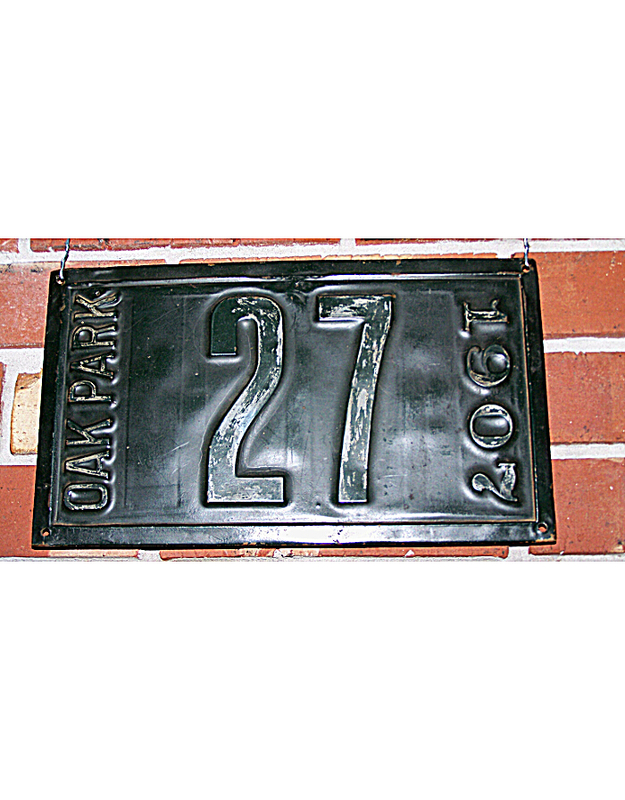 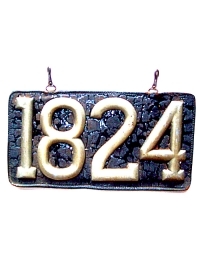 Owners were given individual metal numbers supplied by the city government. 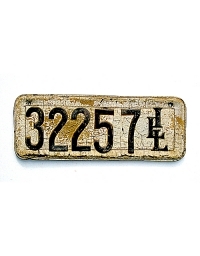 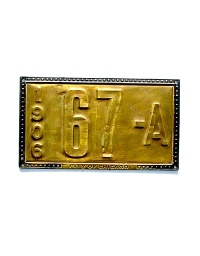 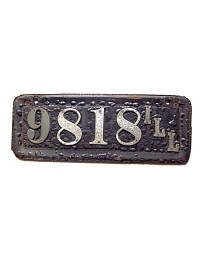 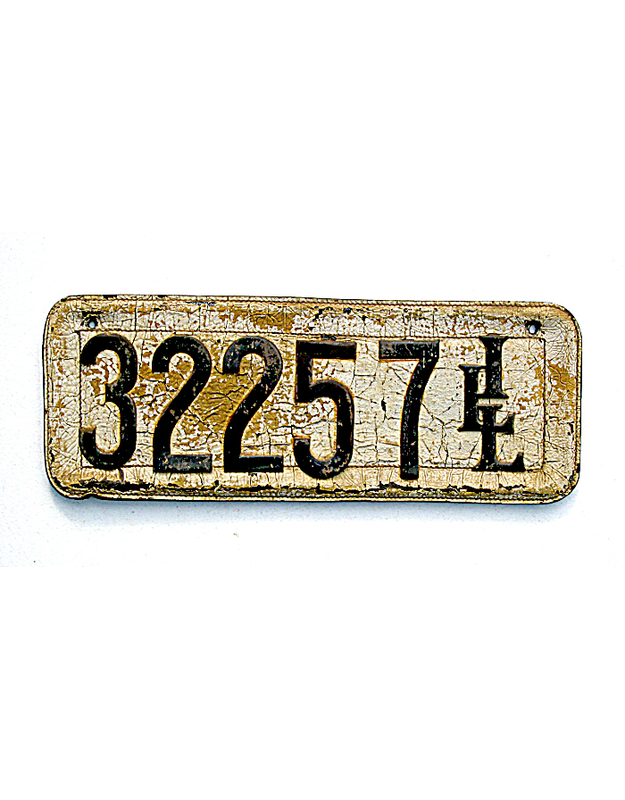 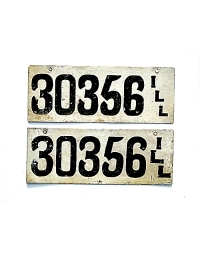 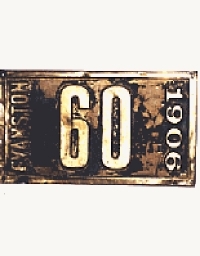 These digits were in a font style that was sufficiently uncommon so that law enforcement could recognize the license as “official” once the numerals were tacked to a leather pad and displayed on the auto. 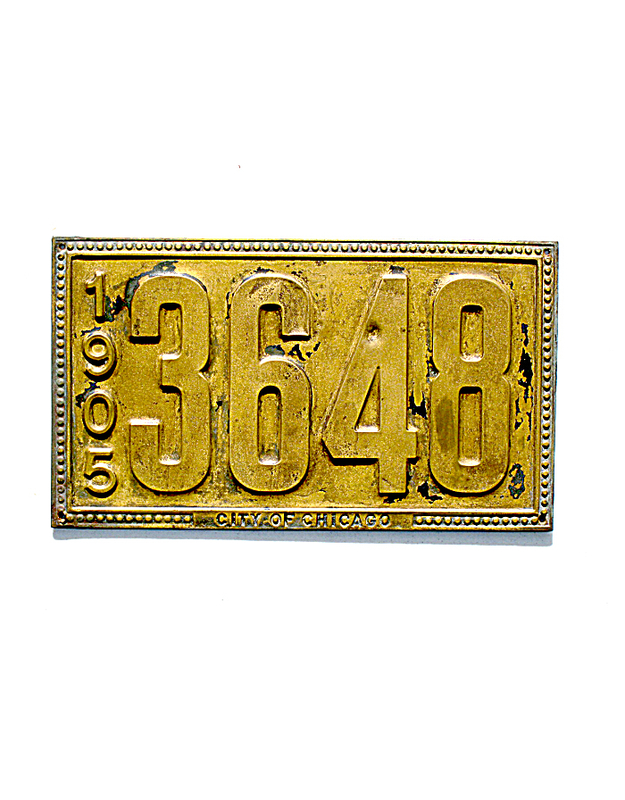 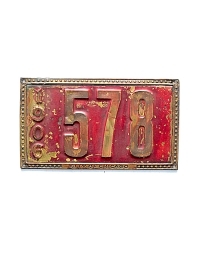 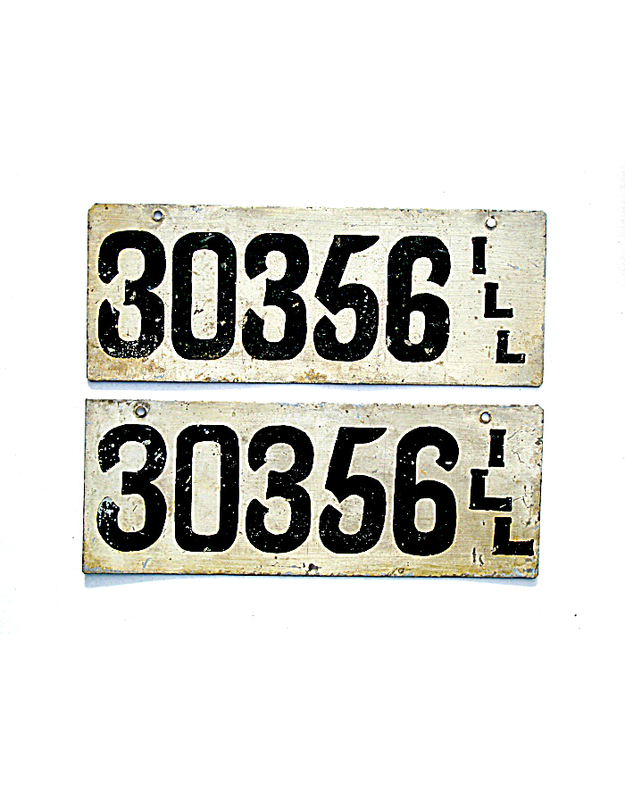 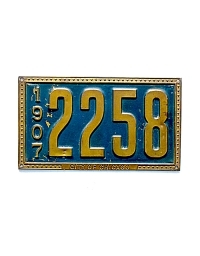 The following year Chicago issued annual dated license plates to all motorists, a practice continued through 1907. 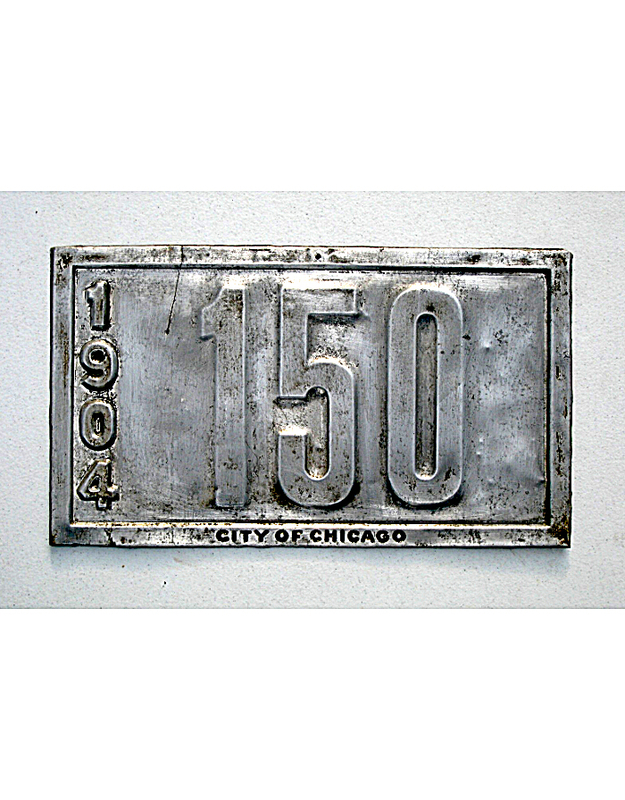 Chicago’s 1904 plate was constructed of thin aluminum and is very scarce. 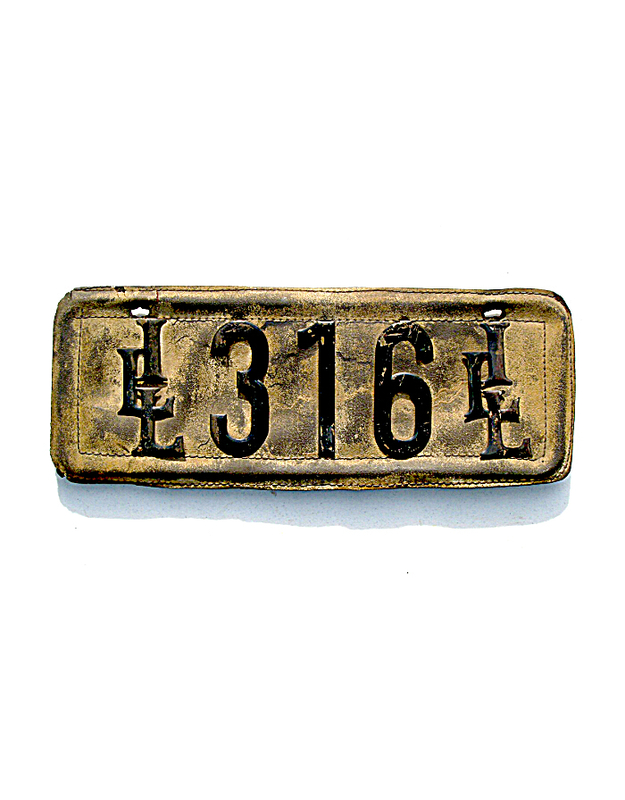 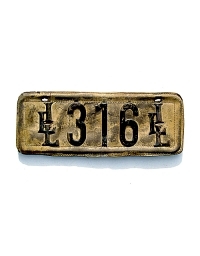 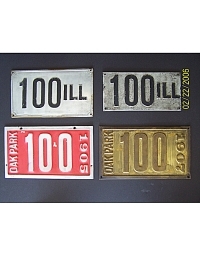 1905, ‘06 and ’07 tags were heavy embossed two-ply brass plates that were quite durable but are rarely found today with original paint since it did not adhere to the brass. 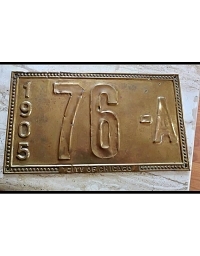 Chicago has the distinction of being the only city in the pre-state era to issue special license plates as replacements for lost tags. 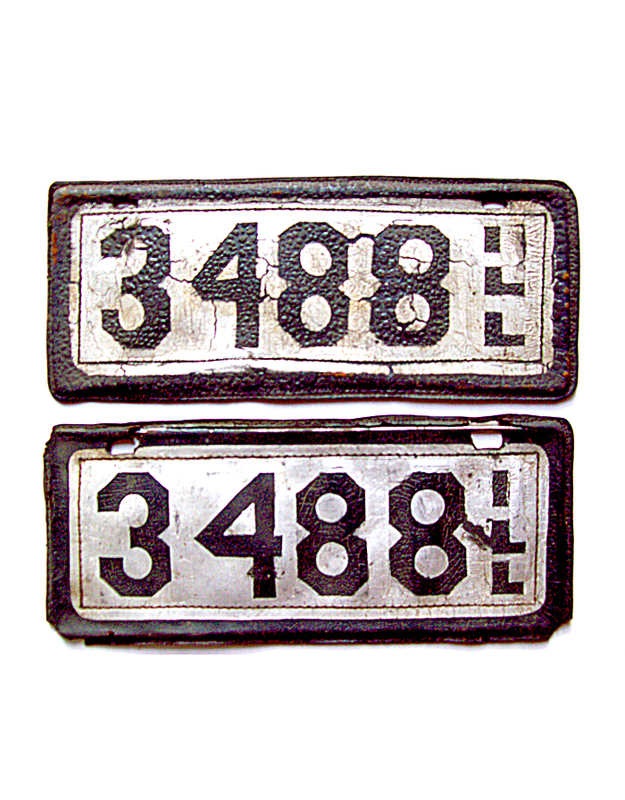 These are virtually the same design as standard tags except for incorporating a smaller suffix letter “A” after the registration number. 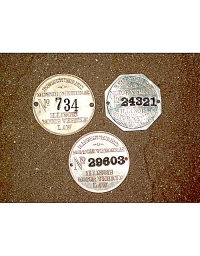 Replacement plates are known for 1905, 1906 and 1907 only. 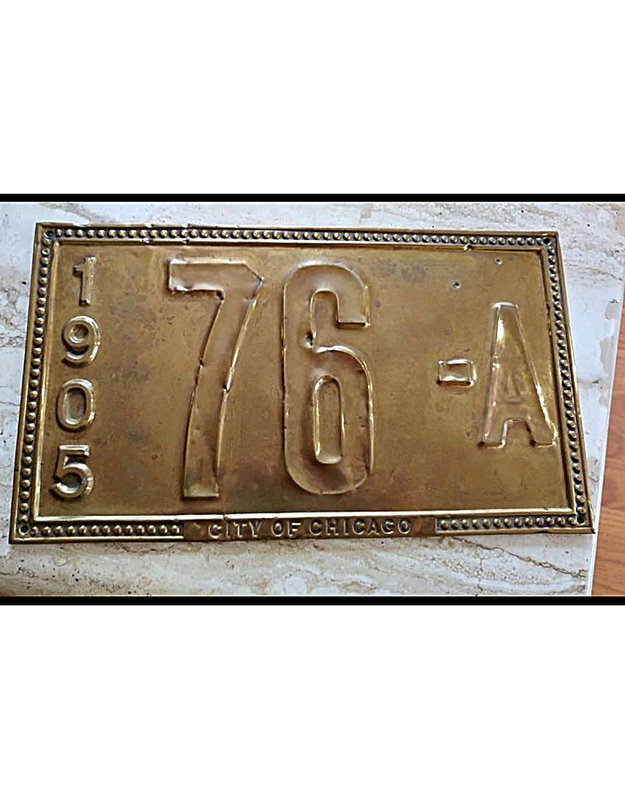 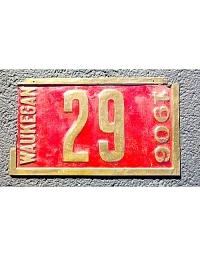 Outside Chicago, certain suburban jurisdictions issued regulation license plates that are very similar in design and materials to those used in the city itself. 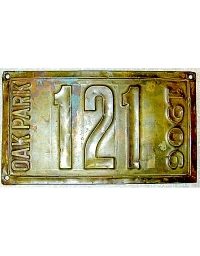 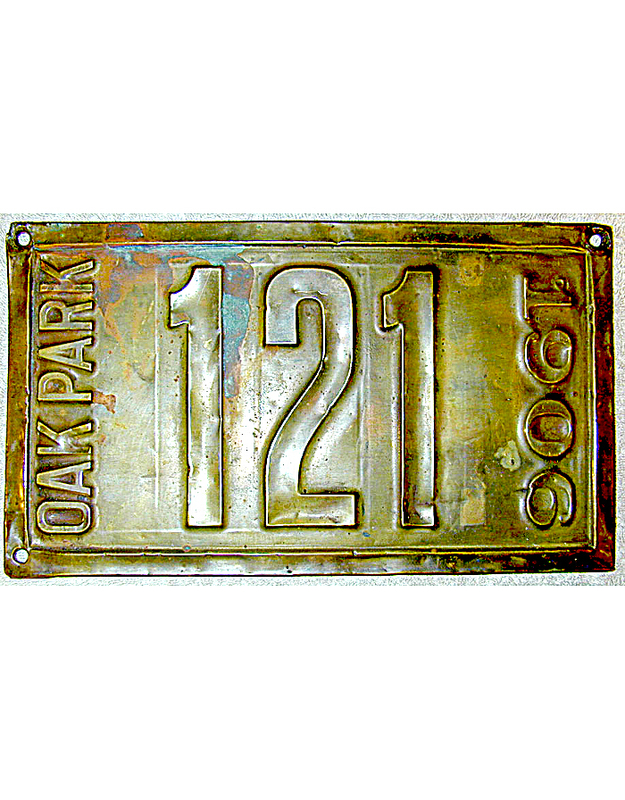 Plates are known from Oak Park (1905, ’06 and ’07), Elgin (1907), Evanston (1905, ‘06 and ‘07), and Waukegan (1906 and 1907). 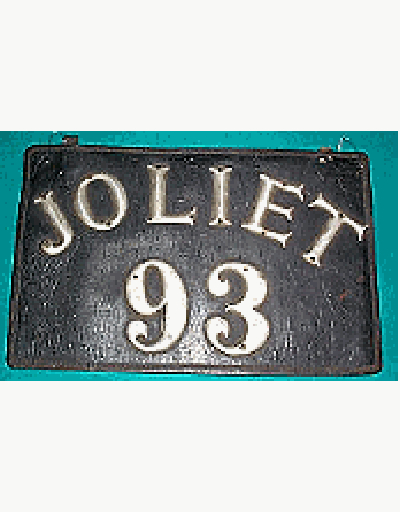 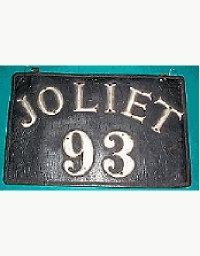 Joliet required owner-provided plates in 1904. 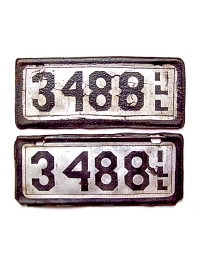 The only known example is leather. 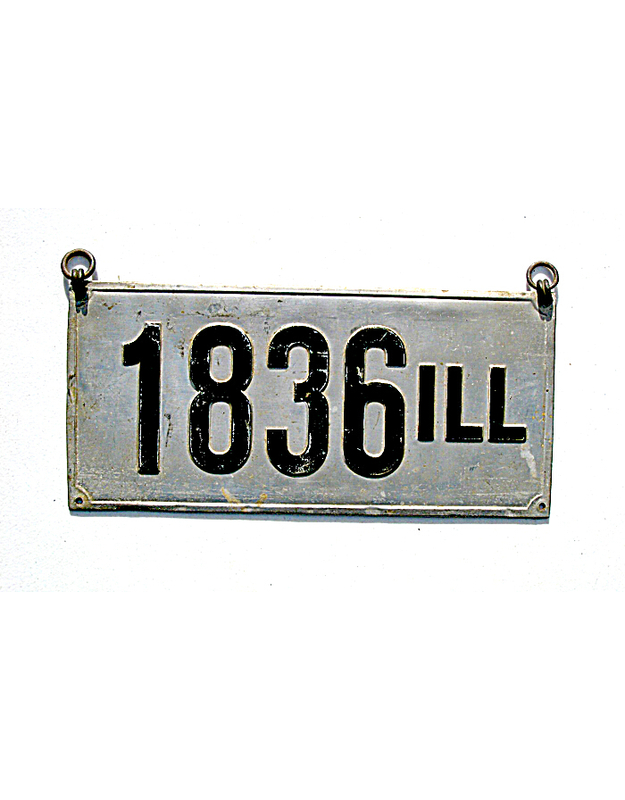 Elsewhere in Illinois, only one city is known to have required license plates in the pre-state era. 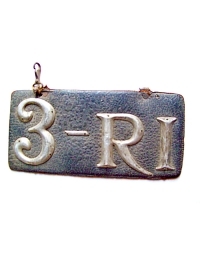 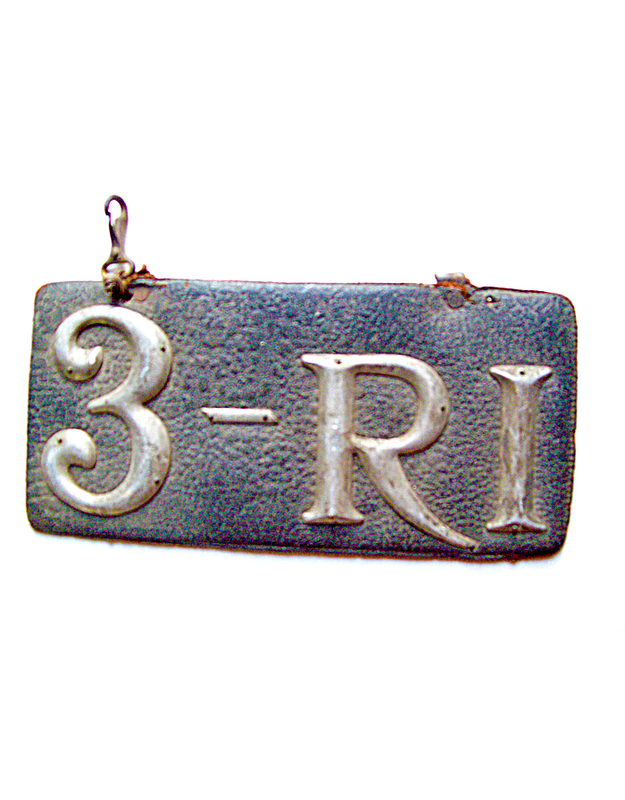 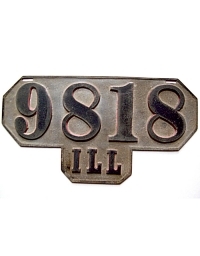 Commencing in 1904, the City of Rock Island required auto owners to license their vehicles and make a plate bearing the assigned number, including the initial letters “RI”. 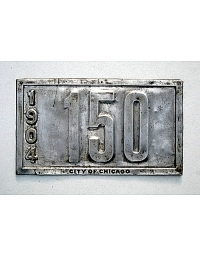 Only two examples of Rock Island plates are known in collections today. 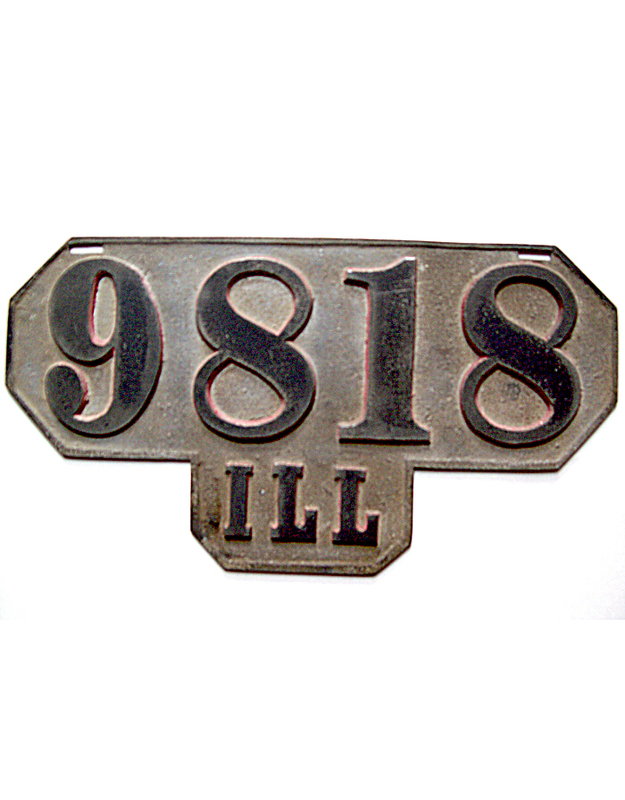 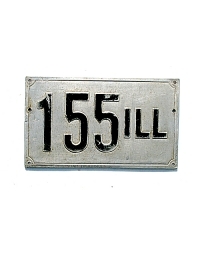 The State of Illinois began registering autos in late-year 1907, at which time state law declared all city and local license plates to be invalid. 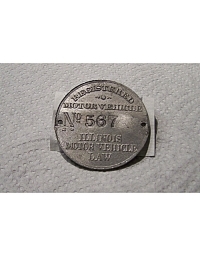 When motorists licensed with the state, the Secretary of State returned a dashboard disc bearing a number which was to be displayed on both the front and rear of the vehicle in any way the owner desired. 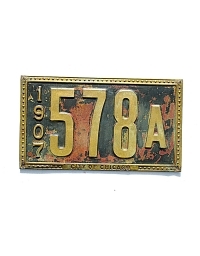 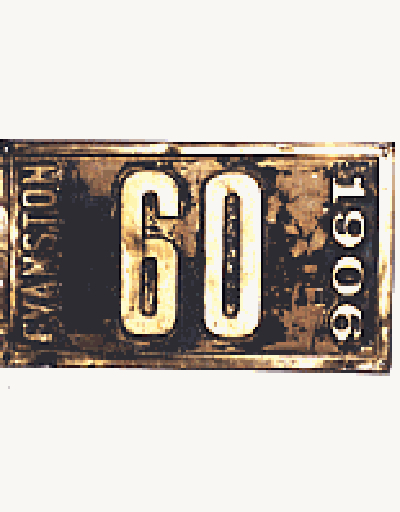 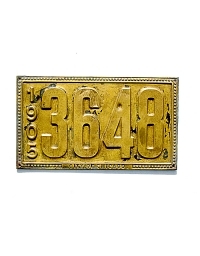 Registration was annual, with new discs being issued each year through 1911, but the license plates on the car were retained as long as the auto was registered continuously. The three distinct types of dashboard discs shown here represent the three periods of annual registration between 1907 and 1911. 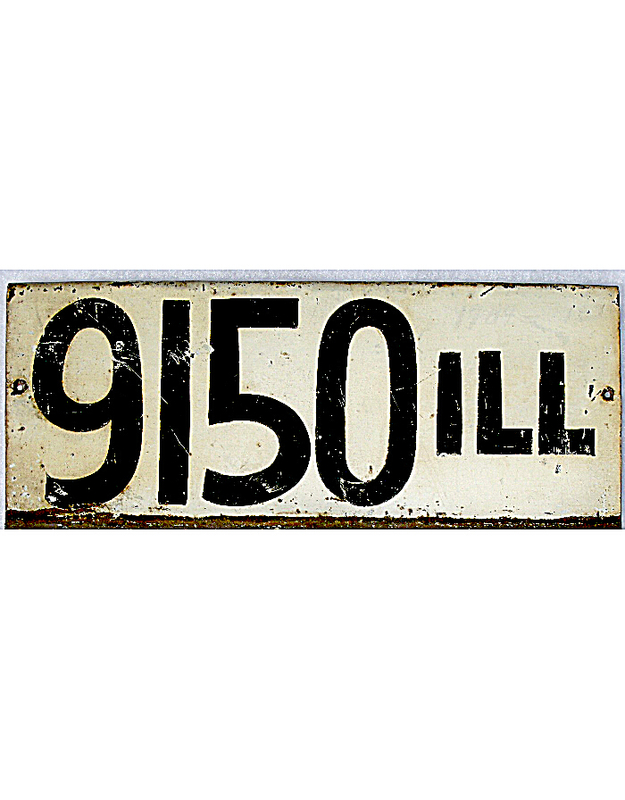 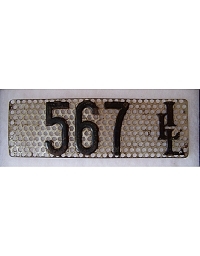 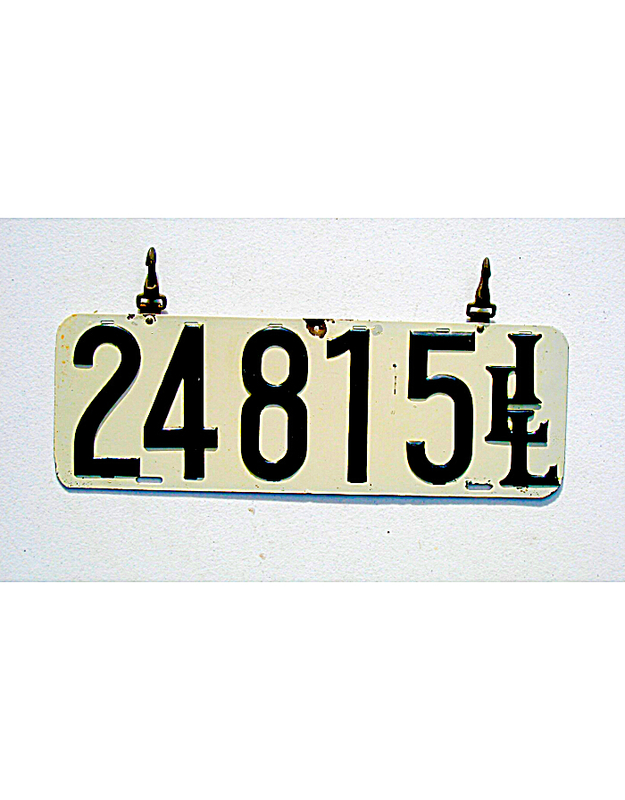 Regulation state-issued license plates began in Illinois in 1911, thus ending the pre-state era in that state.